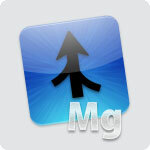 Merge is available for Mac OS X and Windows. One licence entitles you to use Merge on both platforms. Merge for Mac OS X is fully localized into English and Japanese. The Windows version offers a user interface and online help in English and Japanese . Important file comparison/merging features are indicated in the image and accompanying explanatory text below. Only two-way comparison/merging is shown. The Professional Edition of Merge also supports three-way comparison and merging. The screenshot shows the ribbon user interface that is supported only on newer versions of Windows. Merge has a traditional menu/toolbar interface on older versions of Windows. This block of text is different in the two files. The linking lines show the related block of text in the other file. You can change the font and colours used for blocks of changed text in theOptions dialog. Notice that only the changed text within the line is highlighted. This enables you to easily pinpoint inserts, removals or changes even in long lines of text. Merge enables you to compare and work with different revisions of text files, such as program source code,XML and HTML files. 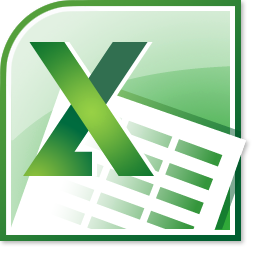 Merge can extract and compare the text from Microsoft Office, OpenDocument, PDF and RTF files. XML files can be shown with special formatting, helping you to see changes more clearly. It supports files with ASCII,MBCS and Unicode character encodings. A colour-coded side-by-side comparison makes it easy to pinpoint at a glance similarities and differences between files. Linking lines are drawn between the documents showing clearly how they are related. Point-and-click merging lets you choose the parts of each file that you would like to add to a final merged version by simply clicking buttons. The in-place editor with unlimited undo enables complete control over the merged file as you create it. The file comparison display dynamically updates as the merge progresses. Merge doesn’t just compare text files. Use image comparison to compare various types of image file and instantly see which pixels have been modified. Binary comparison enables you to identify differences in data files at a byte level. Merge supports folder hierarchy comparison and synchronization, enabling you to compare and merge entire directory trees. This is ideal for detecting changes in different versions of source code or web pages. You can even use the efficient byte-by-byte comparison option to verify the contents of recordable CDs or USBthumbsticks. The Professional Edition of Merge supports three-way folder comparison, enabling two revisions of a folder hierarchy to be merged with their common ancestor or some other folder hierarchy. This can be especially useful when used in conjunction with a source code control or software configuration management system. An FTP plugin gives Merge file and folder comparisons direct access to files located on an FTP server. It is therefore possible to use a folder comparison to synchronize a local copy of a website’s content with the main site itself, provided the main site is running an FTP server. Merge plugins for Perforce, Subversion, Visual SourceSafe, Mercurial, and Git are also provided. As well as providing access to older versions of the files you are comparing, the plugins make it possible to perform a folder comparison of a local Perforce, Subversion or VSS client workspace against the repository. Alternatively, different branches (or the same branch at different points in time) within a repository can be directly compared. 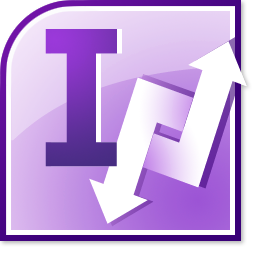 A similar plugin for AllChange is available from Intasoft. File comparison reports (examples: two-way, three-way) can be created in HTML, HTMLslideshow, XML or UNIX diff format. HTML reports are particularly useful for archiving and distribution. Folder comparison reports (examples: two-way, three-way) can be created in HTMLor XML format. 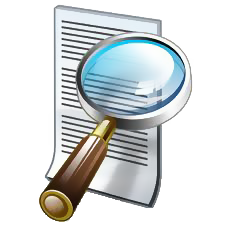 A folder comparison report can, optionally, include file comparison reports for some or all of the files involved in the folder comparison. Thus it is possible to generate a report that is a complete record of all the differences in all of the files involved in a folder comparison. This is especially useful in code review and code audit situations, particularly as reports can be generated directly for files and folders in configuration management systems for which there is a Merge plugin. A full Automation API and Command-Line Interface are included, allowing close integration with other applications (such as source code control and software configuration managementsystems) or your workflow. Comprehensive online documentation is supplied with the product and is also available from the Araxis website. Context-sensitive help is provided for every menu item, dialog and dialog control. Merge is available in two editions. The Standard Edition of Merge is intended primarily for use by individuals. The Professional Edition is better suited to commercial settings, particularly team environments. 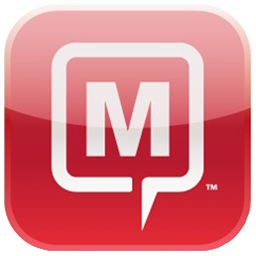 The sole difference between the Standard and Professional editions of Merge is that only the Professional Edition contains features related to three-way comparison and merging. The tables below summarize the major features in the two editions of Merge. A feature is not present in an edition if there is no text against the feature in that edition’s column. Learn how to compare and merge files with Merge in just a few minutes. Identify and reconcile insertions, removals and changes between different versions of source code, configuration files, XML documents, web pages or any other text file. Compare and merge changes in two updated revisions of a file with their common ancestor (or any other file). Use to reconcile conflicting changes made to a set of files by multiple developers or to merge branches in a source code control or software configuration management system. 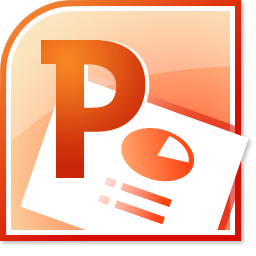 Save time by directly loading and comparing popular file formats. Alternatively, you can copy text from other applications and paste it into a Merge text comparison window. See changes clearly in even the most densely formatted XML files without sacrificing the fidelity of a true textual comparison. Compare binary data files and see differences at the byte level. Compare various types of image file and see precisely which pixels have been modified. Compare huge files (for example, 100 MB or larger) with the 64-bit version of Merge, able to take advantage of the potentially very large amounts of memory available on 64-bit systems running a 64-bit operating system. Better comprehend a wide range of source files with built-in syntax highlighting. Create reports on file comparisons for archiving, distribution or export to other applications. Annotate HTML reports by adding bookmark comments. Mark points of interest. Annotate comparisons with comments and questions, before saving as a single-file archive to be emailed to other team members for review. Save a comparison to a single file for archival or later review, even on a different machine. Saved file comparisons include any bookmarks and associated comments that have been created, making it possible to annotate comparisons with questions and comments, before emailing them to other team members for review. See a summary of the current comparison. Quickly and efficiently compare and merge all the files changed between different folder hierarchies. Process entire sets or branches of source code, web pages or other text files. 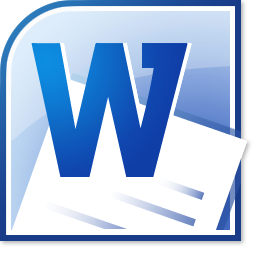 Copy inserted, removed or changed blocks of text from one file to another (or delete them) using a single mouse click. Files can be manually merged very quickly. Make fine-grained changes directly to the files being compared in the file comparison window itself. You do not have to open a separate editing window. Related blocks of text are graphically linked enabling you to see at a glance how files are related. Linking lines eliminate the need for blank padding lines to keep corresponding lines adjacent to one another. Users may add synchronization links to tell Merge to re-synchronize the comparison at particular points. This is particularly useful in some complex comparison scenarios. Display files side-by-side with linking lines or vertically, with one file above the other (useful for files with long lines). See all of the text within each line without having constantly to scroll from side-to-side. Related parts of files are kept aligned in the vertical centre of the file comparison display as any file is scrolled. Identify at-a-glance inserts, removals and changes made within lines down to the level of individual characters. Quickly and safely merge changes in two updated revisions of a file with a common ancestor (or any other file). Automatically merged text is marked with edit markers and any conflicting sections flagged for later manual processing. Automatic merging is an undoable operation, making it safe and easy to try an automatic merge speculatively to see exactly what it will do. Lines marked as resolved are dimmed (in the same way as following an automatic merge). This makes it easy to keep track of the areas of a file with which you are finished. Compare and merge Unicode or MBCS encoded text files (ASCII files are also supported). Critical for working with many non-English language files. For the benefit of our Japanese customers, EUC-JP encoding is also supported. Facilitates convenient entry and editing of text in character-rich Asia-Pacific languages. Provides an instant visual indication of the extent of the changes between files and where those changes occur. Clicking on a change in an overview strip will jump directly to that change. After an automatic merge, any conflicting sections of the files being merged are flagged for manual processing. Commands and shortcut keys are provided to jump between conflicts. Even difficult files can thus be processed swiftly using a combination of automatic and manual merging. Visual history of any changes (edits or copies from another file) made to a file during the merging process. 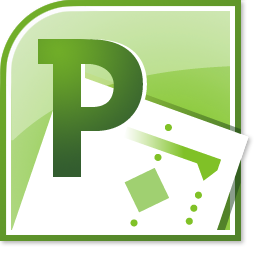 Makes it easy to mark and return to particular points of interest in a file. Jump directly to a line using its line number. Visual indication of whether a file is read-only and whether it has been modified since last saving. Indicates the number of changes between each pair of files. Identifies the current location of the cursor when editing a file. Open files by dragging from the Windows Explorer. Produce a hard copy (or a PDF file using Acrobat Distiller) of comparisons for reference or audit. Printed comparisons contain all the highlighting and linking lines of the on-screen presentation. To save paper, you can choose to print just the pages that contain changes. See how a comparison printout will look before committing it to paper. Integrate Merge with popular source code control and software configuration management systems such as Perforce and Continuus/CM. Control Merge from other applications or integrate it with your workflow. Enables third parties to extend Merge to browse directly, for example, configuration management or version control repositories. Enables Merge to access files and folders located on an FTP server. Gives Merge read-only access to files and folders located in Subversion repositories, Perforce depots, Visual SourceSafe databases, and Mercurial and Git repositories. Control Merge from other applications or integrate it with your workflow using the dedicated command-line utility. Prevents flagging of whitespace differences when whitespace is not considered important. Allow intelligent cross-platform file sharing: work with files containing UNIX (LF), Windows (CR LF) or Mac (CR) style line endings. Choose whether to ignore differences in line endings when comparing files. Optionally see individual CR and LF characters to identify differences in multiple-platform originated files. Ignore differences in comments, source code control keywords and other defined text patterns when comparing files. Easily set the correct indentation level of entire blocks of text when merging text from different files. Search for, and optionally replace, specified text within a file or selection. Change the style of presentation to suit your preferences or needs. Set the headers and footers of printed pages to suit your requirements. Save time by controlling Merge using the keyboard. Conveniently move arbitrary text between files or within a file using the mouse. Quickly move between changes in a file using the mouse or keyboard shortcuts. Conveniently replace the contents of one file with that of another. Useful when one revision is entirely correct and its contents need to be copied to another revision. Switch between multiple file comparison windows with a single mouse click. Easily access frequently used commands. Learn how to compare and synchronize folders with Merge in a few minutes. Identify file insertions, removals and changes between two folder hierarchies. 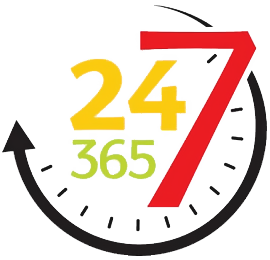 Efficiently process entire sets or branches of source code, web pages or other text files. Identify file insertions, removals and changes between two folder hierarchies and a common ancestor (or some other) folder hierarchy. Use to reconcile conflicting changes made to a set of files by multiple developers or to merge branches in a source code control or software configuration management system. Enables Merge to access files and folders located on an FTP server. For example, use Merge to synchronize a local copy of a website’s content with the main site itself, provided the main site is running an FTP server. Gives Merge read-only access to files and folders located in Subversion repositories, Perforce depots, Visual SourceSafe databases, and Mercurial and Git repositories. Use a Merge folder comparison to compare a Subversion or Perforce client workspace against the depot. Alternatively, directly compare different branches (or the same branch at different points in time) within a Perforce depot. 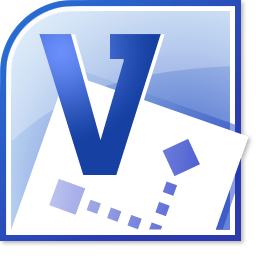 Create reports on folder comparisons for archiving, distribution or export to other applications. A folder comparison report can, optionally, include file comparison reports for some or all of the files involved in the folder comparison. Thus it is possible, in one operation, to generate a report that is a complete record of all the differences in all of the files involved in a folder comparison. This is especially useful in code review and code audit situations. Save a comparison to a single file for archival or later review, even on a different machine. 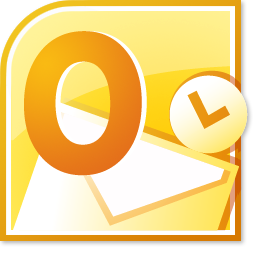 Saved folder comparisons include any bookmarks and associated comments that have been created, making it possible to annotate comparisons with questions and comments, before emailing them to other team members for review. Reconcile differences between folder hierarchies either by copying files from one folder hierarchy to another (or even to a completely separate location) or by launching file comparisons for changed files. 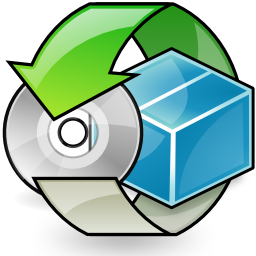 Efficiently process entire sets or branches of source code, web pages or other text files. Keep folder hierarchies on different machines (for example, a desktop and a laptop) in sync with one another. Identify and reconcile differences withincorresponding files as well as between folder hierarchies by launching file comparison windows for selected files. Produce a hard copy (or a PDF file using Acrobat Distiller) of comparisons for reference or audit. Printed comparisons contain all the highlighting of the on-screen presentation. To save paper, you can choose to print just the pages that contain changes. Show only the files and folders of interest that match criteria you define. Select files and folders of interest that match criteria you define. 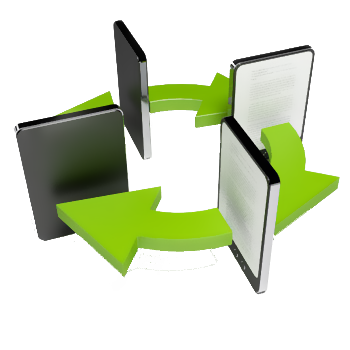 Enables complex sets of files to be selected for file merging or folder synchronization. Compare corresponding files in folder hierarchies using the criteria (whitespace significance, line ending handling, etc) defined for file comparisons. Speed up folder comparisons by comparing corresponding files in folder hierarchies that are larger than a certain size using a quick and memory efficient byte-by-byte comparison algorithm. Save time by performing an extremely fast folder comparison using just the sizes and timestamps of corresponding files. Select folders for comparison by dragging from the Windows Explorer. A single licence enables you to use both theWindows and Mac OS X versions of Merge. Quickly find relevant documentation. All documentation is available both as a single integrated set of online help (included with the product) and also on the Araxis website. Easily find specific help for every menu item, dialog and dialog control. Context sensitive help is tightly integrated with the main documentation, allowing you to read around a particular topic. Conveniently install and uninstall Merge from your machine. For quantities above 100 licenses please contact us at sales@unitedaddins.com, and we will be happy to provide you with a quote.